Kimberley Chocolates is proud to have been named one of the ten best cooking classes in Sydney alongside some of Australia’s most renowned chefs, restaurateurs and culinary schools. The list was compiled by Anna Lisle for the Sydney Life blog from Destination NSW, the lead agency for tourism and major events in New South Wales. Here are our top picks for getting a casual culinary education in Sydney. Discover the secret of chocolate-making at Kimberley Chocolates in Leichhardt. 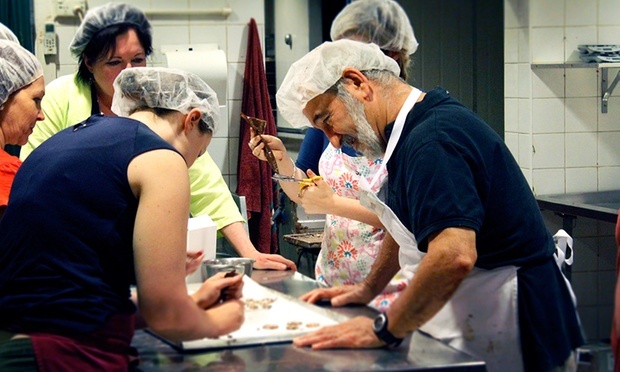 Led by Joseph Atallah, classes begin with a short history of chocolate, how chocolate is made and the difference between milk, dark and white chocolate. After sampling a luscious hot chocolate, everyone will then choose a mold and create their own filled chocolates. But the best bit? Any chocolate that doesn’t get eaten is to take home. A montage of the Leadership Away Day celebrated at Kimberley Chocolates with chocolatier Joseph Atallah….